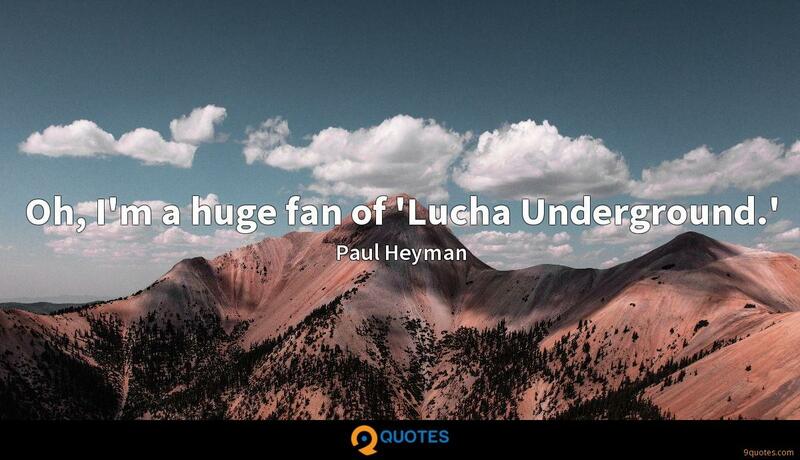 Paul Heyman Quotes. 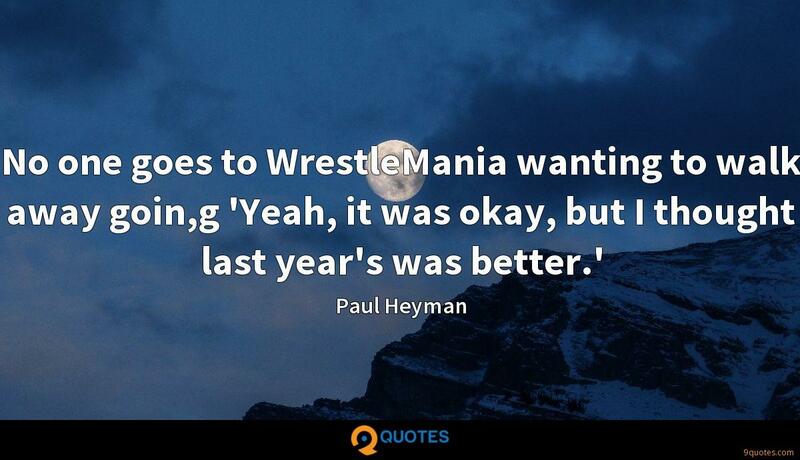 9quotes.com, 2018. http://www.9quotes.com/quote/paul-heyman-664276, accessed 25 April, 2019. Every year, I have my graduate students read the great works of history, from classical times to the present. They gamely tackle Tacitus, ponder Plutarch, plow through Gibbon. Then they get to Thomas Carlyle and feel like Dorothy when she touched down in Technicolor Oz. I stayed in the East for about a year after I graduated. Then, I came out to Los Angeles and started knocking on doors and working my way up. This was the '70s. I had been told how tough it was for a woman trying to make it in Hollywood, but I sort of had blinders on. I just did things anyway. Like any compelling show on television, what works best in WWE is relationships. What's the relationship between these two people, and how does the conflict manifest itself into box office? How could you look at CM Punk and not think that he has the 'it' factor? I don't think I'm any great visionary or genius because I saw something in CM Punk; I think everyone else is a stupid schmuck for not seeing it in CM Punk. 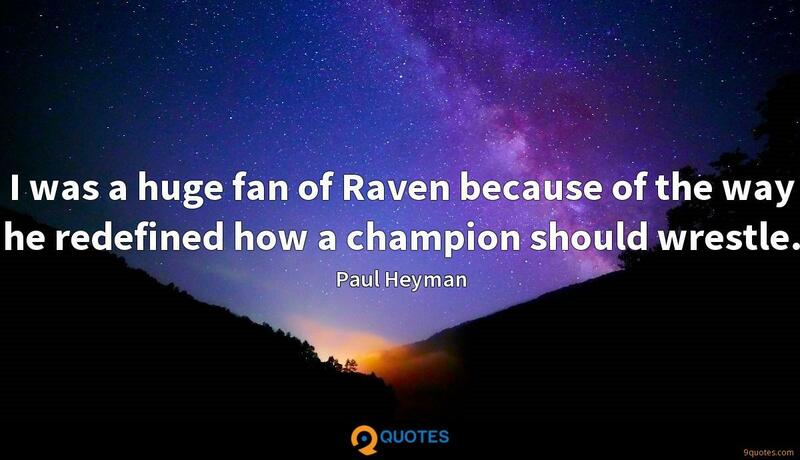 I was a huge fan of Raven because of the way he redefined how a champion should wrestle.